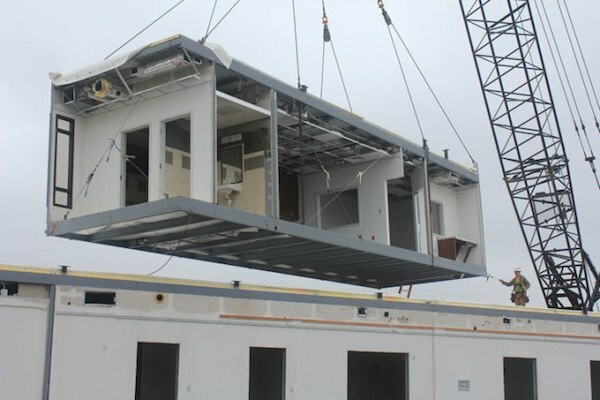 An illustrated presentation and discussion about modular construction, an increasingly cost-effective method of building construction in which most of the building is constructed off-site, and later installed. We look at different factory-built construction techniques and methods being used to increase efficiency and quality, lower the cost and quicken the pace of construction. We will consider the various styles of modular buildings including wood-framed models, shipping containers, and structurally insulated panels. About the presenter: Ian Miller has been a general contractor since 2003, involved in projects ranging from changing a doorknob to building a $6 million, 25,000 square-foot performing arts school in Los Angeles. He is the owner of Zambano & Sons, a residential remodeling company, as well as partner in D&I Development, a builder focused primarily on modular construction. He most recently worked as project manager for SG Blocks, Inc., a design/build firm using repurposed shipping containers as the main structural components in building. This workshop is FREE to PHLF Members. Non-Members: $10. RSVPs are appreciated: marylu@phlf.org or 412-471-5808 ext. 527.